Oh how I love coconut oil for my natural hair! I discovered the wonderful benefits of coconut oil later on in my transition to natural, chemical-free hair. I was looking for something to keep my hair moisturized, shiny, and soft, but without the feeling of weighing down my hair like some of the beneficial, yet heavier oils. Check out the benefits of this beautiful oil which gives freshly washed hair a light but clean tropical smell. Coconut oil is rich in vitamin E as well as vitamin K and also contains antifungal and antibacterial properties to improve scalp health, which ultimately improves the follicles and hair shaft. Coconut oil also acts as a sort of protein shield as it penetrates our hair shaft, preventing breakage. This is very important as the key to longer hair (if this is your goal) is to prevent breakage. 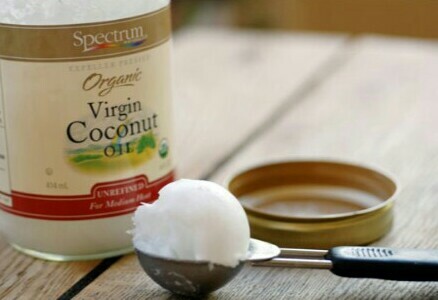 I have included a link for coconut oil at the end of this post for those who would like to begin incorporating this healing, effective and nutrient rich oil in their hair regimen. Please comment below and share your experiences with coconut oil. Thank you.